Just in time for the holidays, the Mighty Eagle has just flown into the App Store, for iPhone / iPod Touch and iPad in the latest Angry Birds update! We hope that Rovio will soon update the Symbian^3 version of Angry Birds with this Mighty Eagle Update. “With the latest Angry Birds update, we bring you a new, scorching hot desert theme titled Ham ‘Em High, with 15 new action-packed levels, and a new Golden Egg. Moreover, you can now purchase the Mighty Eagle to aid you in the battle against the persistent pigs! Mighty Eagle is an in-app purchase and costs $0.99/£0.59/€0.79 to buy. This is a one-time purchase. You can use Mighty Eagle to skip a level to unlock the next one and advance in the game. However, there is a limitation: you can only skip one level per hour! In levels that you have already passed with the regular birds, you can use the Mighty Eagle without limitations. Why would you want to use the Mighty Eagle in levels you’ve already completed? Because Mighty Eagle brings new additional highscores and achievements! It’s almost the end of the year, and what a ride it has been! Angry Birds has been downloaded 50 million times on all platforms, and we thank all of our fans for your feedback and support. In 2011, we hope to make the game available for even more fans, and we will bring Angry Birds to many more platforms, including all major consoles. 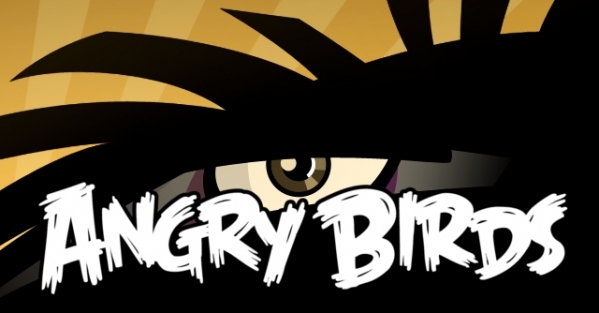 There will be more exciting free updates, and you might want to keep an eye out for some very special Angry Birds games following later in the year!